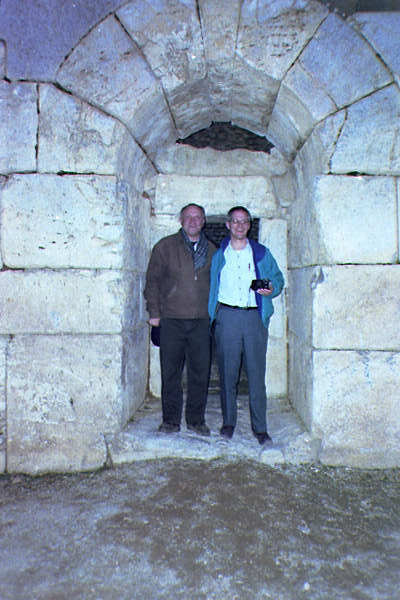 During Spring Break, 1999 two IWU professors spent a week or so wandering Turkey in the footsteps of the Apostle Paul (and visiting the "Seven Churches" of Revelation). The trip was a preview trip for future student tours. We were trying to see if we could travel as cheap as students. And you can! We figure a "Shoestring tour" for students could be done for about $300 (plus the air ticket which costs about $750.) 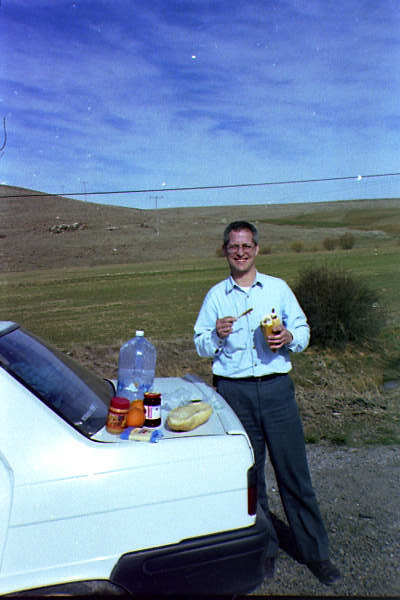 Steve Lennox was a delightful partner and a decent dinner companion for our many tailgate dinners with me, Keith Drury, your Learning coach in this course. 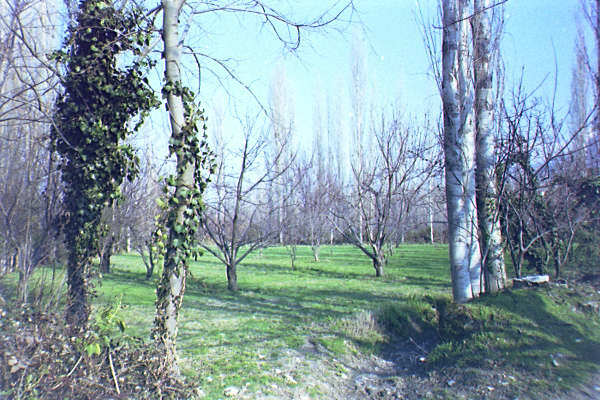 This is a two part series: the companion journal " Footsteps of Paul in Greece" is found at: "http://www.indwes.edu/courses/bil102/greece.htm"
On the hot Cilician Plain beside the river Cydnus was Saul/Paul's home town, a city which can trace its history back uninterrupted for 3000 years. Here the boy Paul learned his trade: "tent-making", or more properly cloth-weaving. 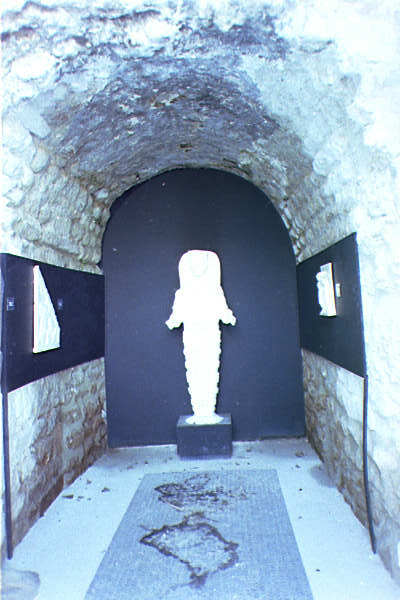 He was likely a weaver of the course goats-hair cloth known as "Cilicium" coming from this Provence named "Cilicia." The cloth is rough and tough and preferred by nomads for tents and sailors for sails and other tough cloth designed to withstand the weather. Like canvas, this cloth is airy enough to let the air escape in hot weather, yet in the rain the goat's hair swells up and becomes waterproof. I tried to find the cloth all over Turkey -- everybody knew of it, but nobody would sell it -- except one merchant who had enough to make a full tent -- and he wanted the equivalent of $200 for it. Too bad -- I wanted to show my students a piece... next time I'll find a smaller piece or a lower price. Tarsus was a melting pot for the young Saul. He was a strict" pharisee son of a pharisee." He would have been brought up in the synagogue school. Yet Tarsus was not Jerusalem. It as a Greek city with a Hellenistic culture. Perhaps he even attended the great university with its gymnasia, theater, school of art and stadium. He witnessed plenty of Greek influences and saw the convergence of the Jewish conservatism and the pagan Greek world. For whatever reason (why do you think? ) his parents ship Saul off to Jerusalem, (perhaps at about age 19 -- maybe AD 28/29?) to study under the eminent Jewish scholar Gamaliel. Saul became a fire-breathing pharisee-conservative totally committed to "the law" and conservative Judaism. So committed in fact that he leads a search and destroy campaign to stomp out a new aberration of Judaism -- the cult-sect called "The Way" who believed a dead man was raised again and was the true messiah. He is an accomplice in the stoning of Stephen, (AD 35) and then, running out of these people to persecute in the Jerusalem area, he gets an out-of-state hunting license from the high priests to hunt them down in Damascus, where he's heard there is a nest of them. It is on his way to Damascus where Jesus intervenes, and his life changes forever. After a stint of a couple of mysterious years studying in the Arabian Desert (Galatians 1:17) Saul/Paul returns to Damascus and preaches with such bombast that he stirs up enough opposition to make him escape over the wall in a basket to save his neck. Going up to Jerusalem (about AD 38) the Apostles (Peter, James, John and others?) refuse to see him, thinking it might be a trick to kill them off. Barnabas, accepts him, then uses his personal clout ("encourager," substantial giver?) to get Paul an audience with the Apostles. Soon Paul is preaching across Jerusalem stirring up such a commotion that his fellow Jews hatch a plot to kill him (tables turned, huh?). "The brothers" whisk him down to the seaport at Caesarea and ship him home to Tarsus. Presumably, things are more peaceful around Jerusalem for a time. Saul was raised right here in Tarsus, then returned here after his conversion (probably AD 38). What did he do here during the next 6-7 years? Plant churches? Just wait around? Grow? Study the Old Testament for more proof that Jesus was the messiah? Connect with someone else who was at Pentecost? (The closest place listed in Acts 2 is Pamphilia, some 100 miles distant.) How did he spend those 6-7 years? One can hardly imagine Paul not stirring up a commotion. But maybe he quietly studied. Some think he planted churches, for later on the second missionary journey, he will visit and strengthen "churches in Cilicia" around Tarsus (Acts 15:41) Or, did he give these 6-7 years to arguing with his father and other Jews, honing his persuasive skills? We don't know. These are Paul's "silent years." It will be eleven years from Paul's conversion until he launches what we call the "First missionary Journey." Preparation for a great task may not be as fast as we think? The next event here in Tarsus happens about AD 44/45. Paul sees an old friend Barnabas arriving from Antioch. (See next listing). Barnabas recruits Saul/Paul to return with him to Antioch and help establish this new development: a gentile church. Does Paul recognize this as the beginning of a totally new phase of his life. He will never return to Tarsus. At least not to live. From this day on he will be a rolling stone, preaching from place to place, living a few years here, then there, constantly on the move, walking thousands of miles for the next 20 years. Goodbye Tarsus. We too bid it a quick hi/bye -- in the dark, no less. There's not much ancient to see at Tarsus. The sea is still the same sea. But "Paul's gate" is probably built after his time. 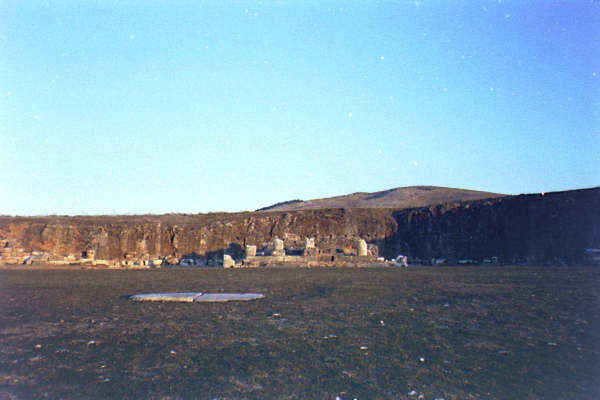 The hippodrome of ancient times lies under the campus of Tarsus American College and the ancient theater is under the playground of the school across the street. However, having fewer sites gives one the opportunity to write more! 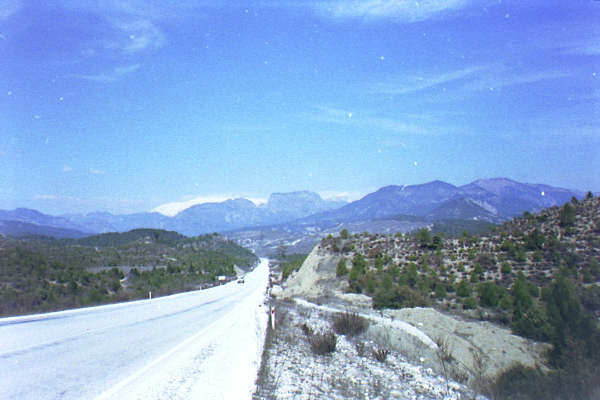 However just 30 miles north of Tarsus are the towering Taurus Mountains and the famous Cilician Gates, a rocky gorge a football field deep and only 65 feet wide. Through this memorable cut came Xerxes, Darius, Cyrus the Younger, and Alexander the Great on their conquering journeys. We saw where the river poured into the cut, but couldn't find a way down to the ancient road in the cut. 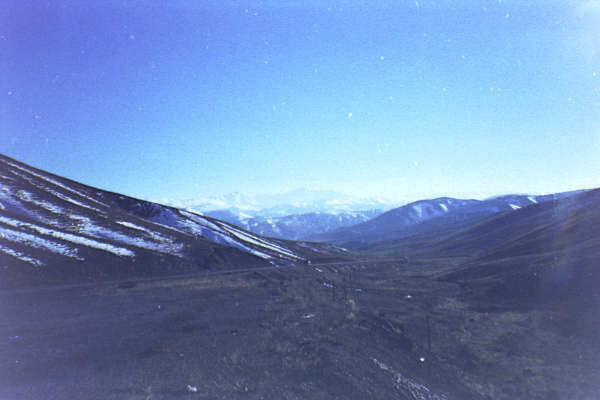 However, we crossed the Tarus Pass and caught the idea of the difficulty with which Paul, a middle aged man, crisscrossed this territory. 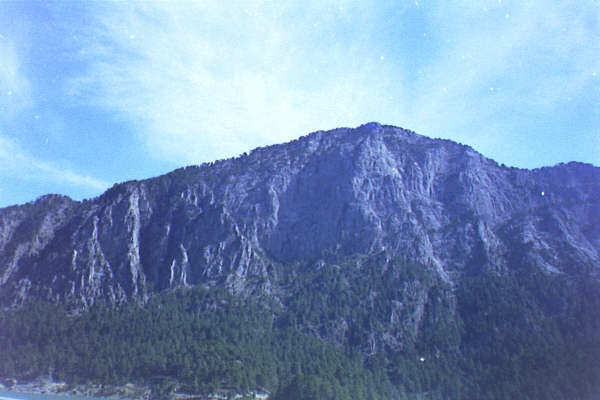 Paul was apparently comfortable with such mountains, having been raised at the foot of this range. The Apostles send inspector-Barnabas North 300 miles to check it out. On arrival he determines (we don't know exactly how) their experience is genuine then remembers a fellow from a half dozen years before who would fit well in this Antioch setting, the third largest city in the Roman empire. Barnabas hops a boat about 80 sea-miles to Tarsus where he collects Saul/Paul, recruiting him as a junior partner for helping this new church. Paul's willingness to uproot his cloth-weaving business and walk away from his home town (a second time) will get him 20 years of missionary apostleship. It will also get him killed. Modern Antioch is pasted up against the mountains. It boasted a population of a half million people in Paul's time, third only to Rome and Alexandria. Christianity may have been founded in tiny rural towns and among the pleasant Galilee hills, but it spread by influencing great cities like Antioch, Ephesus, Perga, Alexandria, Rome and Antioch-Pisidia. On arrival Paul and Barnabas preach and teach, strengthening the church. It is here where the disciples are first called "Christians," perhaps in derision. The label stuck. A prophet, Agabus, predicts a famine in Jerusalem, and the church here at Antioch decides to take up an offering for the poor Christian at headquarters. 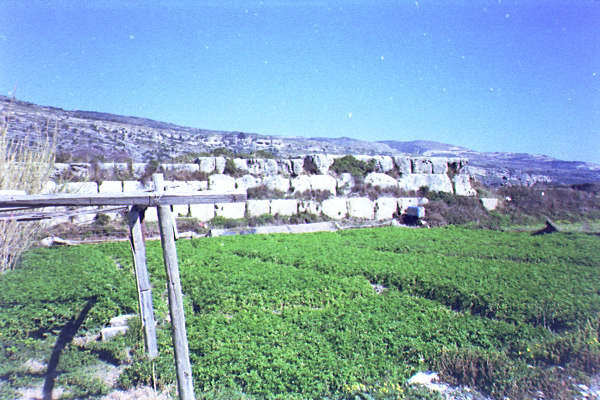 (Agabas will show up later in Caesarea tying up his own hands and feet predicting Paul's arrest). They send Barnabas and Saul with their offering, sometimes called the "gift trip" to Jerusalem, and identified by some with the Galatians 2 "fourteen years later" passage. (In the chronology suggested here Paul was converted in AD 35/36 -- adding 14 years to that results in a date of AD 49/50 which is after the first journey and around the Jerusalem conference (AD 49/50). But Antioch is best known as the starting point for the First journey. One day the five "prophets and teachers" were praying and God told them to"set apart" two of the five to be sent off to duplicate this sort of gentile-work in other places. (Well, we don't know that for sure -- perhaps they sent them off to convert Jews, but does that seem as likely?) The two-of-five sent off are Barnabas and Saul/Paul. This is the beginning of what we call the "First Missionary Journey." Of course it isn't the first. Philip had gone to Samaria. The Ethiopian had gone to Africa. Peter had gone to Ceasarea, Joppa and elsewhere. Perhaps Saul/Paul had gone to Cilicia. And the whole kit and caboodle of ordinary Christians who'd been at Pentecost had gone home when the persecution broke out in connection with Stephen's stoning. And, of course, the first major Gentile "Missionary Journey" originated in Africa and on Cyprus when Jewish-Christians determined to evangelize Antioch and the first Gentile church is born. Christianity spreads. On this first journey alone Paul will cover some 1,400 miles, at the speed of 15-20 miles per day (some by boat, but most by walking, occasionally he might ride a donkey or a cart, but it is unlikely he rode an expensive chariot) And the first journey is the short one! Though Antioch is remembered as the origin of the First Journey, it played an important role at other points too. Paul and Barnabas return here to Antioch at the end of the first journey (Acts 14:26) and give the first century equivalent of a "Missionary Slides" presentation (Acts 14:27). It as here in Antioch where Paul squares off with Peter and stands him down in public. (One wonders how Peter would have told this story -- but we only have Paul's account.) The issue: the Jewish-Christians eating separately from the gentiles (reported in Galatians 2:11). It is here in Antioch (after the first missionary journey) where conservative Jewish-Pharisee-Christians come to "help the gentile Christians grow" by informing the men they needed to be circumcised and follow all the laws of Moses. This causes such a fuss in the Antioch church that an appeal to the Apostles is made for a tie-breaking decision. Thus we have the report of Paul and Barnabas going up to Jerusalem and the resulting "Jerusalem Conference" of Acts 15. The Jerusalem conference (AD 49/50) decides to let the Gentiles off the hook (so to speak) and the written decision is sent back in the hands of Silas and Judas. (Thus Silas gets to Antioch, and later winds up being Paul's companion on the Second Journey.) The letter precipitates the Second Journey, Paul wanting to deliver the freedom-news to all the gentile churches.So it was here in Antioch where Paul and Barnabas argue about taking John-Mark along on the Second Journey, and Barnabas won't give in. The result: two second journey teams: Barnabas and Mark re-visit Cyprus, and, Paul & Silas who re-visit the northern churches (and more). It is here in Antioch where Paul and company (it is a whole team by now) return at the end of the Second Journey following a stop off at Jerusalem (to deliver his periodic gift-from-the-Gentiles) (see Acts 18:22). "After spending some time in Antioch" Paul set out on the third journey, this time by land (a totally-on-land journey from Antioch completely across Turkey to Ephesus, thence North to Troas, then still walking (it was winter when the boats don't sail and he had ants in his pants waiting for Titus's report from Corinth whom he'd scolded by letter)--walking up and around through Macedonia, then South down through all of Greece to Corinth again... an incredible journey about the equivalent of hiking today's entire 2,000 mile Appalachian Trail, and he still the return trip ahead of him, some by land too! When Paul left Antioch on this third journey he would never see it again. (As far as we know). The third journey ends in Jerusalem, then two years of imprisonment in Caesarea, another two years of "house arrest" in Rome, but even when he is released for the unrecorded Fourth journey" there is no record of his return to Antioch. But his legacy continues. There are some good church history roots here too. According to Eusebius, "Ignatius of Antioch" was the second bishop of Antioch, and supposedly the "successor to Peter," the first bishop. Ignatius of Antioch wrote a letter to Polycarp which is among the earliest pieces of Christian literature we have. Ignatius supposedly died in Rome about AD 110. Antioch has other historical importance. 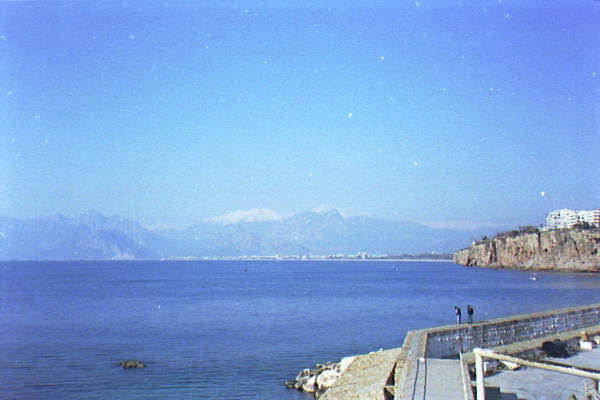 Here Alexander the Great almost drowned in the cold water in BC 333. Also, it was here in Antioch where Mark Antony swooned. He saw Cleopatra, dressed up as Venus reclining on her throne, being rowed up the river on her decorated barge by her slaves -- and "was transformed into a strumpet's fool." [Heh heh heh, some things never change.] 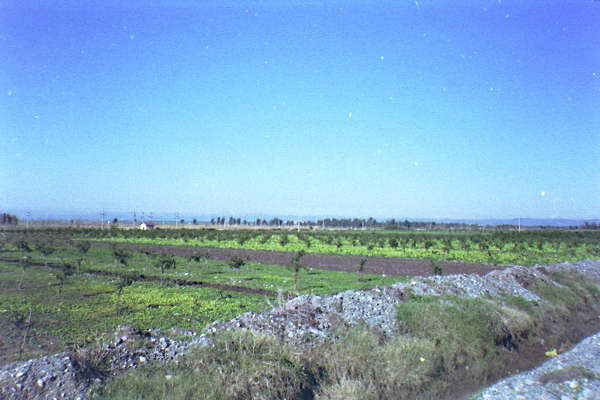 And just above Antioch in a cultivated field beside the sea is the Plain of Issus known as the site of the decisive defeat of the Persians under Darius III by Alexander the Great in BC 333. As for ancient sites in Antioch there is a church on the hill which was closed when we arrived. But the view of Antioch was worth the hour we spent wandering around the town trying to find things. 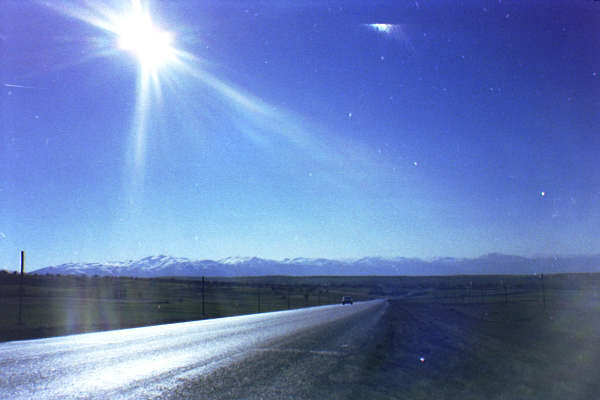 (Turkey isn't real effective with things like putting up road signs -- we used a compass for most all our travel.) We stopped in the Archaeological museum and post office to get directions, but not speaking Turkish, we found no English. 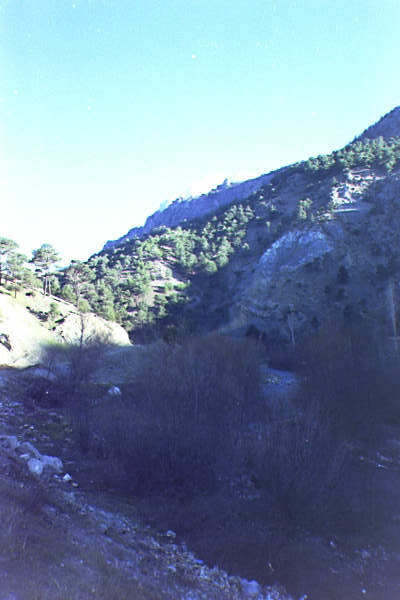 The river is still here but no longer provides access to the Mediterranean Sea. We didn't visit Cyprus on this trip but include it here for sequence only. 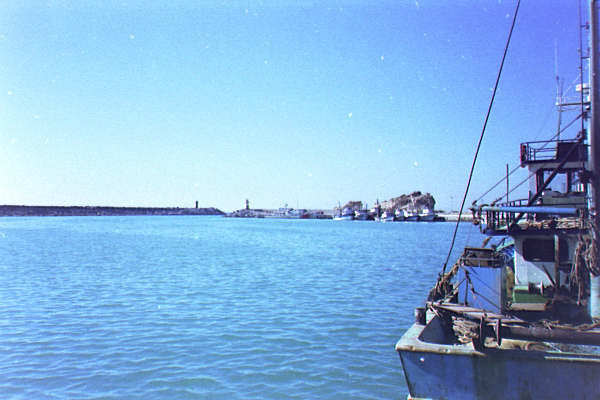 On Cyprus Barnabas and Paul traveled from the Northeast port of Salamis, across the Island down to the South west port of Paphos. 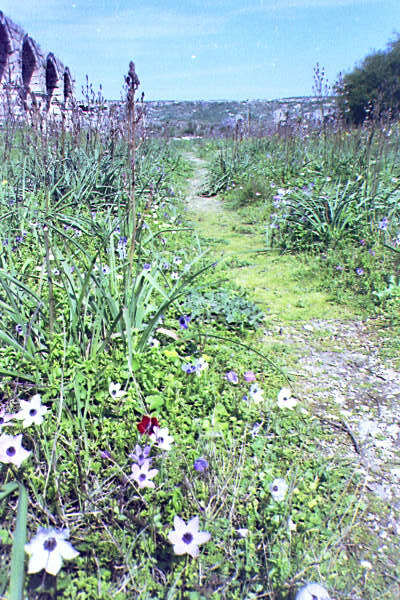 It was here Paul temporarily curses Elymus blind and wins the Roman proconsul Sergius Paulus to faith. (Sergius Paulus will be important to our story later -- in Antioch-Pisidia... just wait!) From Paphos Paul and company sail to Perga. Well, maybe they sailed to Perga, or perhaps they landed in Attalia instead and walked over to Perga. Whatever, they left Asia a year or so later from Attalia. We'll mention it here on the way in. 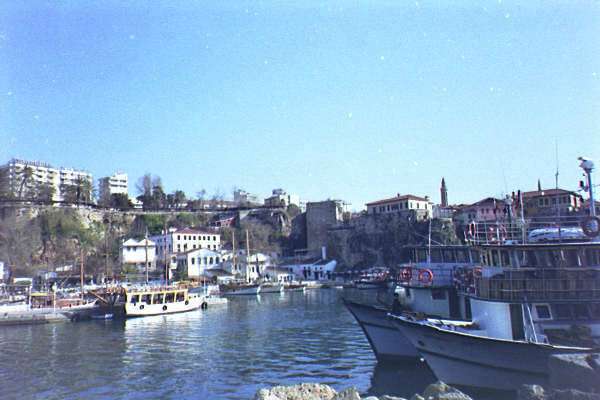 The delightful Attalia port continues to provide a safe protected harbor for boats. And also provides great fresh-squeezed orange juice for a about a dime right to the right of these boats. Or, look behind you at this port and see the view coming in. Mark leaves & Malaria comes? Maybe Paul did not arrive in Attalia at all but sailed up the River Kestros to come to Perga even though he left from Attalia. Strabo wrote, "sailing up the Kestros River, one comes to the city of Perga" so it must have had access to the sea by the river. Otherwise, Paul, Barnabas and John-Mark landed at Attalia nearby and walked over to Perga. Whichever, Luke only mentions Perga on the way in, but points out Paul left from Attalia. Here in Perga John-Mark abandons the crew and goes home to Jerusalem (Why? Can you imagine four or more reasons? ), something Paul (the "General Patton of the early church") has difficulty overlooking for a long time. 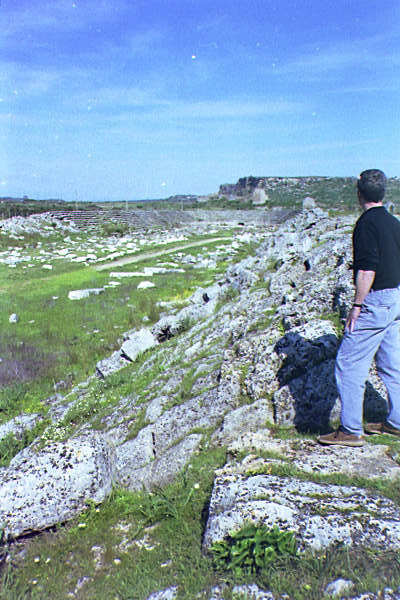 Perga is a major archeological excavation. We entered through the same South-facing Gate Paul and his companions would have used, perhaps in the Summer of AD 46. Note the puddles of water here. (Some have theorized Paul caught Malaria here in swampy Perga, thus explaining his comment to the Galatians referencing his coming north to the higher elevations because he was sick -- Galatians 4:12-14). It was swampy, many of the excavations were filled with water like ancient swimming pools. Here is this large city are remains of the Roman Perga Fountain (The water comes in at the fountain in the back, runs over the "dams" and right down through the entire city feeding other fountains -- the "sewage" running separately under the sidewalk). Also we saw the Agora (Roman down town shopping mall & sometimes seat of government), a Gymnasium (the Romans combined their "wellness centers" with education -- here is where they went to school), baths (rather than everyone having their own sauna the went together like Bill hall does. By the way (since this is a Liberal Arts college) you might remember that Perga was the home of the 3rd century BC astronomer and mathematician Apollonius. What? You forgot? Oh, he's the fellow who theorized that the movement of the heavenly bodies could be explained by orbits within orbits, and that the Moon went around the earth which went around the sun. Novel idea quite a while before the "Renaissance" huh? On the return trip, Paul stayed long enough again in Perga to preach and talk with the people. (Acts 14:25). Most students remember Perga for "Mark and Malaria" though the Malaria is not a proven theory. High country, Preaching in the synagogue, whole city turns out, expelled. You like mountain climbing? 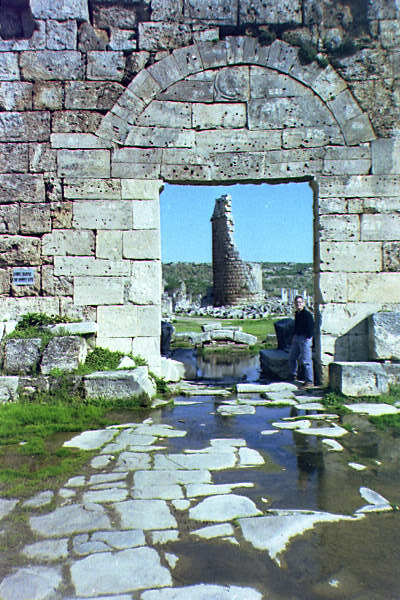 Take the 150 mile trip from Perga to Antioch Pisidia! [really -- want to join me on a "first journey bicycle trip" some May term?]. 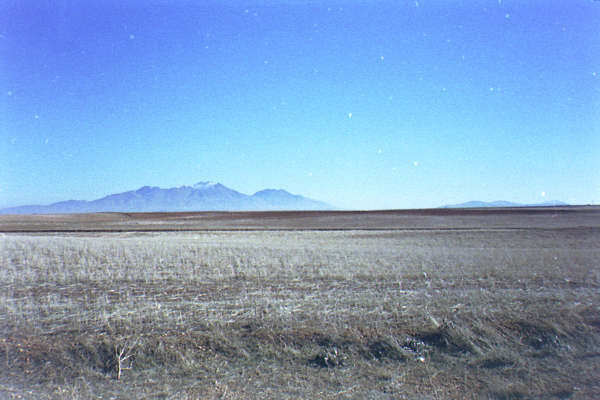 First you see the looming mountains at a distance. As you approach they begin to loom higher. Closer still they appear mighty rocky. 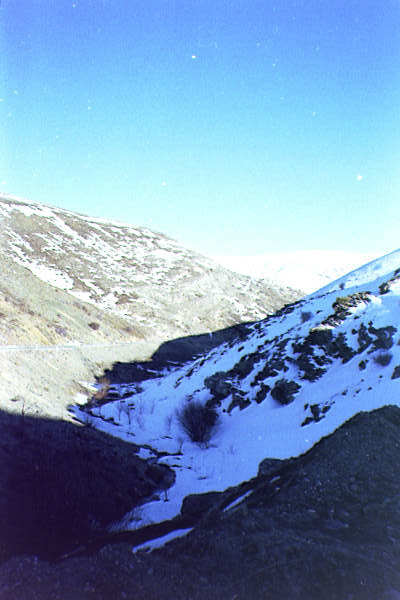 Eventually (after endless climbing for scores of miles you cross the pass in snow. (Were these mountains daunting to John Mark?) 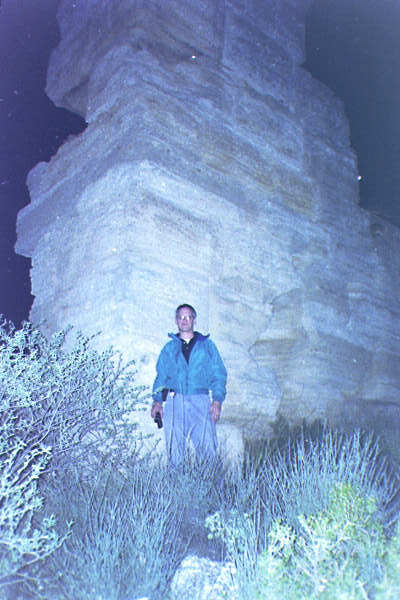 This gets you on the "high plain" of the Anatolia plateau, the "steppes" of Turkey, 3280 feet high, cool and dry. Ahhhhh. 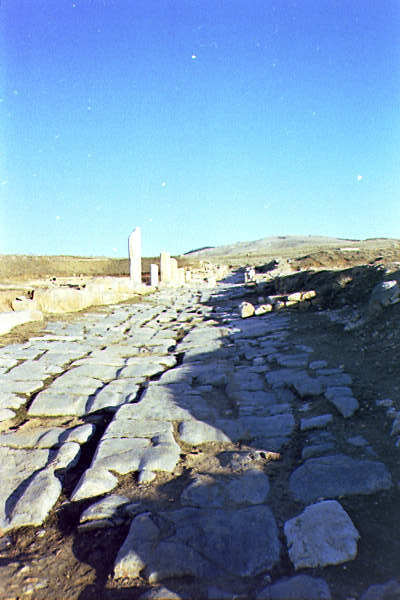 Antioch-Pisidia. 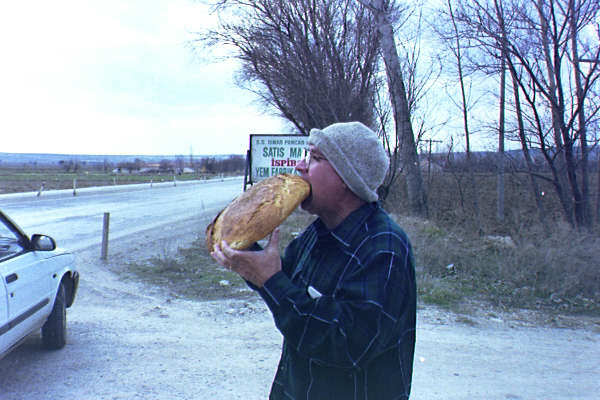 My favorite site in all of Turkey. (Philippi is my favorite in Greece). Here we connected with Dr. Mehmet Taslialan, the Turkish Archeologist at the site the last 19 years [a recently excavated site still in process -- interesting in going on a dig here some summer? It's nice and cool up high here] Nobody else was around and we got hours of his time, winding up the day with Turkish tea in his office. It was sweet! Leaving with his book in tote, we shall return to this good friend (unless he come here first). What can I say? 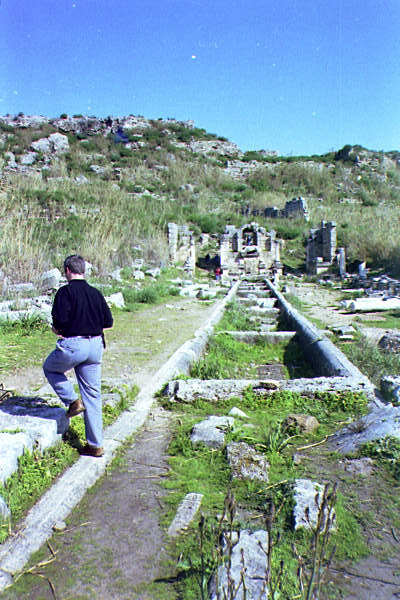 I could write for days about Antioch Pisidia -- but won't. [Instead I'll take you back some day -- get your bike or join me for a dig!] These few notes will have to suffice. Here Paul preached in the Synagogue (the foundations are still there and now a part of the ruins of the "St Paul church" ) and we have the full text of his message in Acts 13. He was so popular "almost the whole town" (a considerable town of 100,000 in Roman times) showed up to hear him. The word spread throughout the "whole region" and finally the Jews in the synagogue stirred up some powerful women (and men too) in the city and the resulting persecution of Paul and Barnabas got them "expelled from the region." We weren't expelled. In fact we were begged to stay and talk longer. Finally, long after dark, and after long sweet conversations about the site, and Paul, and Christianity, we broke away, promising ourselves we'd be back. Oh, just as a sidelight of interest. Here at Antioch Pisidiain AD 16 was the first recorded "workers strike" when the laborers building the 10KM aqueduct went on strike against the reign of Tiberias. The grievance was resolved however, without bloodshed. Paul and Barnabas were expelled from Antioch-Pisidia, but the dust soon settled. After visiting Iconium, Lystra and Derbe, they doubled back re-visiting all the newly established churches, including this one. On the double-back trip they "strengthened the disciples" and "appointed elders" in each church. Did Paul visit Antioch on the Second Journey. Probably. Luke only mentions Lystra and Derbe, but from there Paul heads West... probably through Iconium and Antioch-Pisidia again in his trip to Troas and thence to Greece. One more thing. 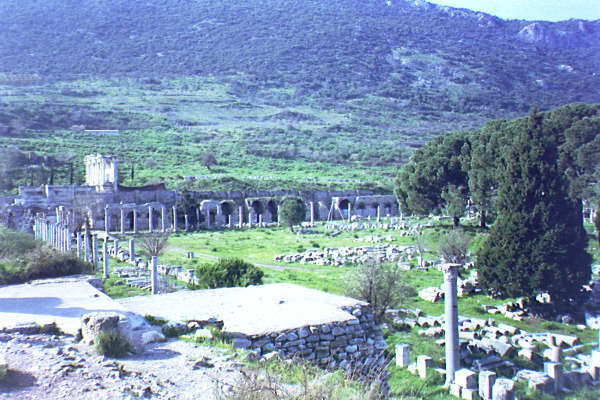 Most of us figure Paul went to Antioch-Pisidia to escape the malarial swamps of Perga. Mehemet Taslialan adds another twist: from inscriptions found at this dig it is known that Sergius Paullus (Paul's convert and the Roman Proconsul at Paphos on Cyprus where Elymus was struck blind) was a native of Antioch Pisidia. Did this Roman convert try to persuade Paul to visit his important home town? Hmmmmmmm. Interesting. How I'd like to introduce you to the city walls, the Western, Southern, and Northern gates, the huge Augustus temple where citizens were expected to participate in emperor worship, the Propylon, Tiberias square, the Theater, the colonnaded street where Paul walked, the temple of Men -- a local god, and the huge stadium, I must close. .. Join me when we drop our bikes onto the grass one evening and gaze at the distant mountains surrounding this favorite town of mine. Details on Paul's visit to Iconium are sketchy. On the first Journey Paul and Barnabas spoke so effectively that "a great number of both Jews and gentiles believed." A plot emerged to stone and mistreat them which they discover and flee to Lystra (Acts14). That's about it for the first journey. Except that Paul likely stopped off here in Iconium during the second Journey after picking up Timothy in Lystra. (Luke reports the entire second journey through Turkey -- about a thousand miles in six verses (Acts 15:41-16:5 and five of those six verses tell how Paul recruited Timothy in Lystra [(next entry]. He accepts Timothy into the team and the brothers at "Lystra and Iconium" spoke well of him, which suggests Paul and Silas probably stopped off in Iconium too on their way west during the second journey. At any rate the route West goes right through it, it is unlikely they by-passed this church. Iconium (now Koyna) is a city of a half million with brightly painted buildings which is pleasant to drive through. And through, and through. 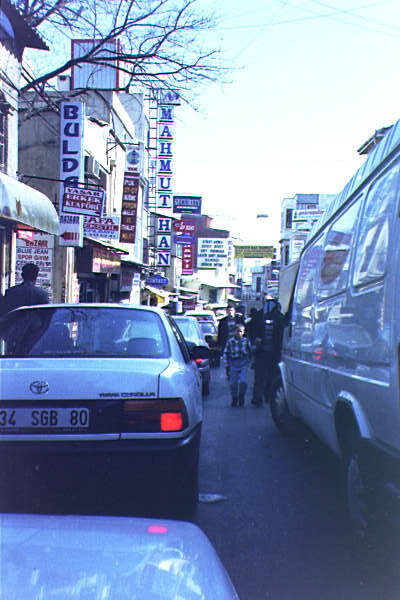 Konya hasn't bothered to post distracting street or highway signs. It is an old Hittite (c.f. 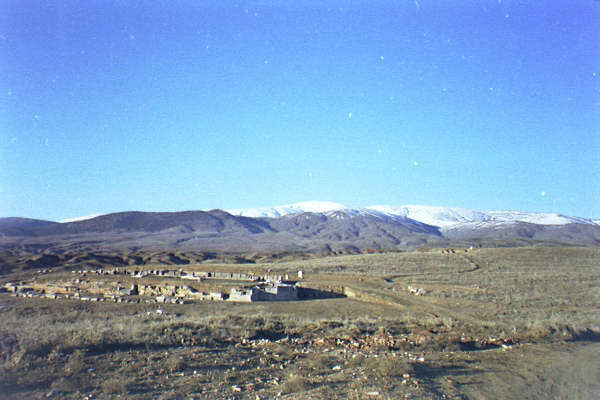 Old Testament Survey) city and lies on the Western edge of a great high plain, at about 3300 feet elevation, so it is cool. It gets clouds of dust in summer and snow blizzards in winter. Koyna/Iconium is also the home of the Iconium "Whirling Dervishes"
a "charismatic Moslem" mystic order who has influenced Turkish Islam ever since the 13th century. The idea was to spin round and round until you are totally overcome by an ecstasy of love. I tried this sort of thing when I was a kid, and merely collapsed in a heap. In Koyna, Steve and I tried a modern editions of whirling -- driving round and round about the city to find the obscure road to Lystra which was, of course unsigned, but which our trusty compass pointed out eventually. 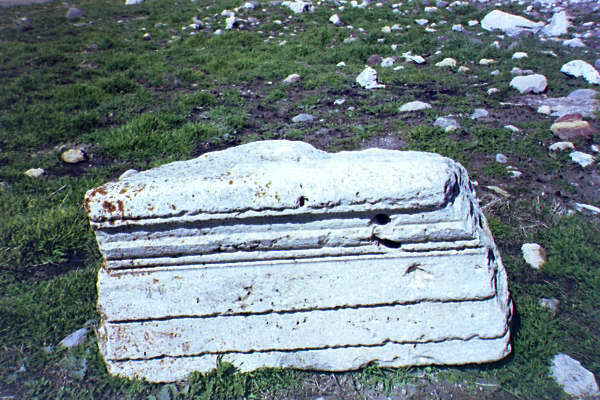 Lystra has a richer history recorded in Acts. Here Paul and Barnabas healed the lame man on the first journey which got the two missionaries into a complicated situation. The word got to the priest of the temple of Zeus outside the town and the village who promptly assumed there were Zeus and Hermes come down to earth. When the people and priest arrive (at the house where Paul and Barnabas were staying?) With several bulls and wreaths prepared to sacrifice to them they rip their clothes and reject the awful notion. (The folk in Lystra were probably speaking in a dialect unfamiliar to Paul). The tables quickly turn (Paul-Sunday-like) and the crowd is stirred up by some Jewish anti-missionaries who followed Paul from Iconium. They stone Paul (remember Stephen?) then drag him outside the city thinking he was dead. The disciples gather around and he simply got up. (Is this a miracle or simply Paul's guts?) Where does Paul go? Back into the city. And the next day he and Barnabas leave for Derbe. Not long after, on Paul's first journey double-back trip he touches Lystra again appointing elders in the church. 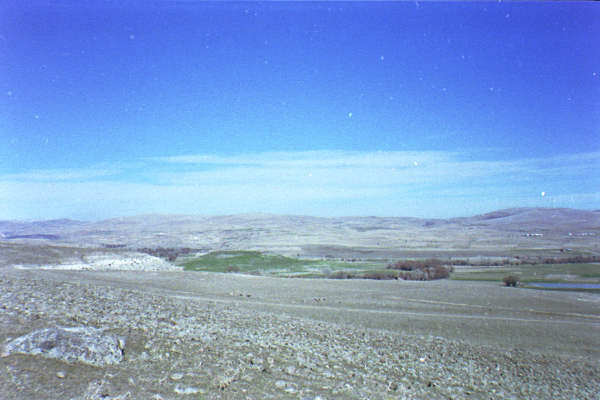 Lystra is unexcavated. We climbed the highest hill near the spot to find the site. Dr. Lennox was searching for a "grassy tell." We picked several possibilities but the clearest one you too can see in the picture. Sure enough, when we searched the tell we found pottery & Roman stones and plenty of other evidence, though most everything else is buried under 2000 years of dirt.. Perhaps you will one day excavate this site? Did Paul visit here on the third journey? Who knows. All Luke says is "Paul... traveled from place to place throughout the region of Galatia and Phrygia, strengthening the disciples -- with this single verse (Acts 18:23) Luke reports about a thousand miles of travel. Unexcavated, a couple miles across fields. We traced Paul's journey from "Galatia" to Ephesus (the route of his third journey-- through Galatia and Phrygia to Ephesus) and also came to Ephesus. However on his return (from Corinth) at the end of the second journey Paul stopped shortly for a message or two in the Ephesus synagogue (Acts 18:19) and left Priscilla and Aquila at Ephesus to plant the congregation, apparently still a part of the synagogue. Meanwhile Apollos shows up and preaches his wonderful oratory impressing everybody. Priscilla and Aquila take him aside and expand his teaching beyond John's baptism. When Paul arrives on his third journey he discovers a collection of Christians who know about John's baptism but are ignorant of the "baptism of the Holy Spirit." Paul lays hansd on them and there is a "Pentecostal echo" including tongues. It is here in Ephesus where Paul writes back and forth to Corinth which has gotten itself messed up and is resisting Paul's authority. 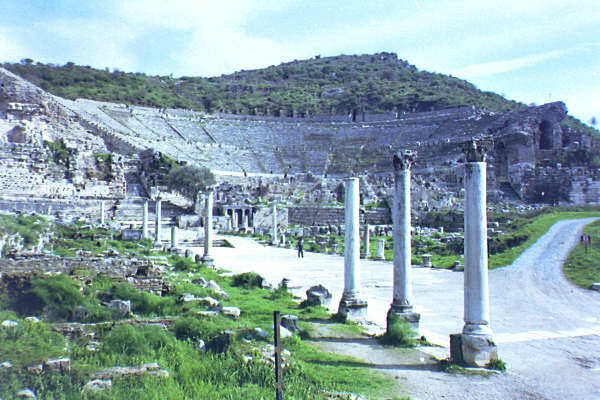 It is here in Ephesus where Paul sends Titus on his several (four?) "shuttle diplomacy" missions to Corinth. When God revives his work, the devil revives his also. 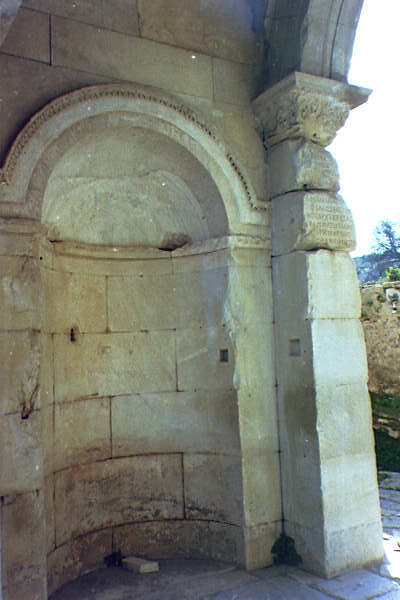 It is here in Ephesus at the revival's peak that the sales of the silver Shrines of Artemis took a nosedive. We saw the many-breasted stature of this fertility goddess Artemis/Diana which the Silversmiths(led by Demetrius) were copying. ( In class you'll see a sample of the small statues.) The silversmiths gang together in the Agora and start a riot. The rioters likely quickly moved to the 24,000 seat theater. The whole city is in an uproar. Hearing of the giant crowd, Paul prepares to go preach (never neglecting an opportunity to speak to a big crowd, even rioters) but the disciples hold him back (in a house somewhere in the city?) and the city clerk calms the crowd down (after they shout in unison "Great is Artemis of the Ephesians" for two hours). The assembly is dismissed and Paul gives a farewell to the disciples and heads off (over land) to Macedonia and Greece). 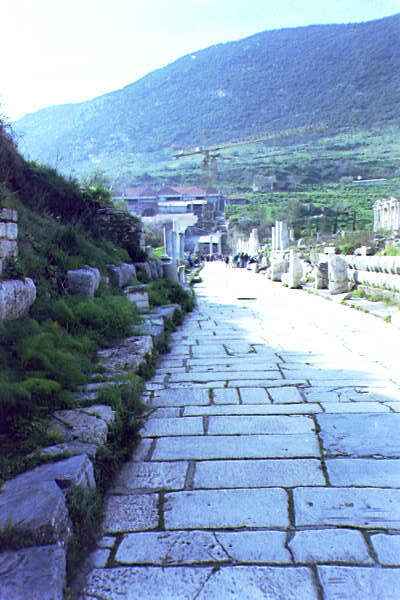 When Paul arrived in Ephesus he would have likely come up this The"Harbor road" later to be called "Arcadian Way." 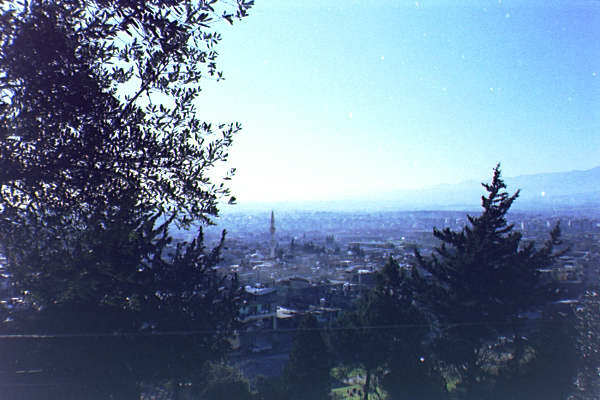 ( view from the theater). 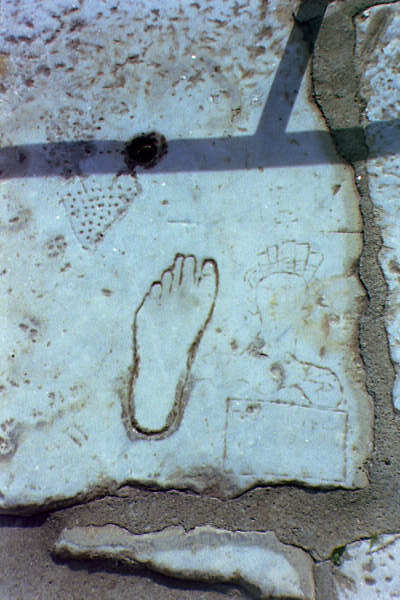 Ephesus has a bundle of main streets including this Marble road (On one of the pavement stone on this road is what many have said is an Ancient brothel advertisement including a footstep, Prostitute, an bag of money. 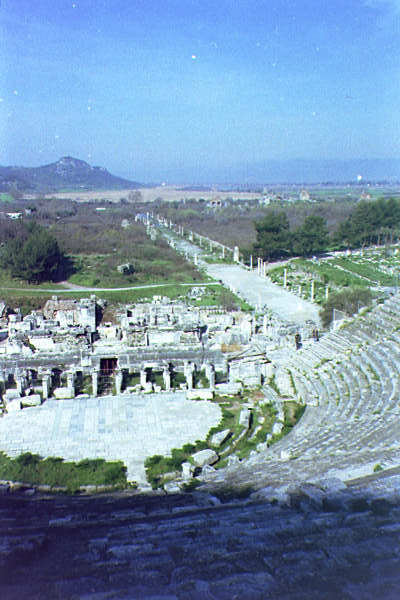 On Paul's return form the third journey (form Corinth) he is hopping down the coast by boat and stops off at Miletus. (Acts 20:15) Calling the Ephesian elders to him he gives his tear-jerking speech sharing his own sense of impending doom. Telling the Ephesian elders he knew he would never see them again, he left for Jerusalem. As far as we know he never did return to Ephesus (unless by chance he touched down in Ephesus on the unrecorded "fourth missionary journey") -- he probably was arrested in Troas so he was not that far off. 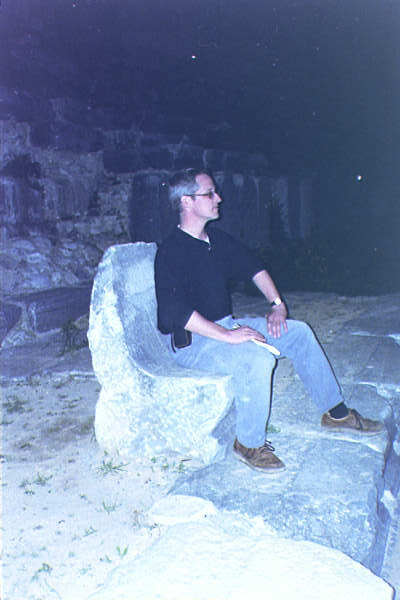 We went to Miletus in the dark and I caught Dr. Lennox on his throne at the theater. Again we toured a city, wandering about with our trusty AAA penlight. On the third journey (the one where Paul walks all the way from Antioch-Syria to Corinth) Paul came back part way by land -- North from Corinth to Philippi, then sailing to Troas. 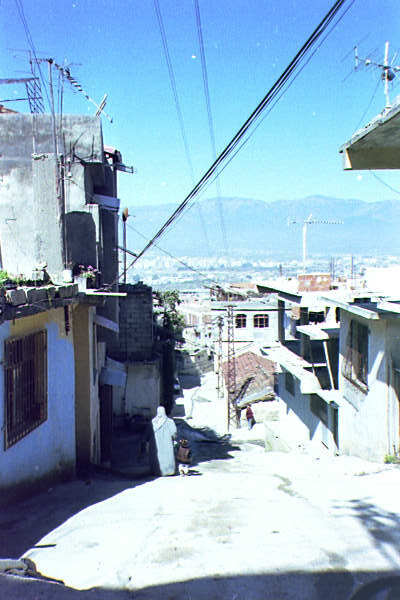 It was here in Troas (Acts 20:6) where Paul preaches to the believers in a third story of a house. Lamps were probably burning, it was likely stuffy, and Eutychus (the patron saint of all chapel-sleepers?) falls out the window and is believed to be dead. Paul raises him up and, thus having energized the crowd sufficiently, goes back upstairs for an all-nighter message! The team then leaves by boat for Assos, but Paul does not sail with them, preferring to walk alone across land down the coast to Assos. (Why? Why do you think he wanted to be alone?) We got there after dark but got to see the walls of Troas standing high on the hill. We didn't preach all night, but almost fell asleep in the next four hours as we raced toward Istanbul. 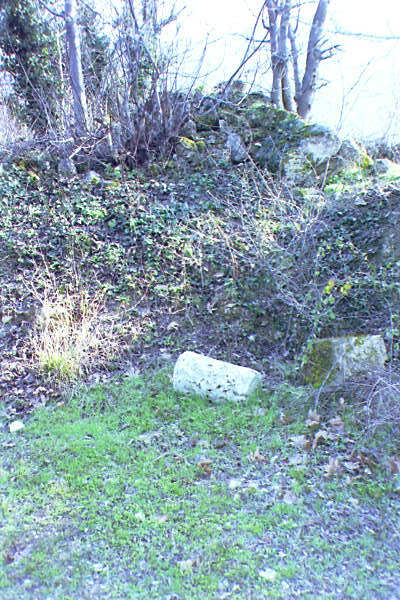 After searching for Colosse for several hours Dr. Lennox finds the possible site -- at least a Roman pillar in the middle of a field. If so, here's the field where the town was located. Steve Lennox will be posting the "Seven Churches" of Revelation pictures. When they are up on the web, you'll be able to click here for the Seven Churches of Revelation pictures and story. 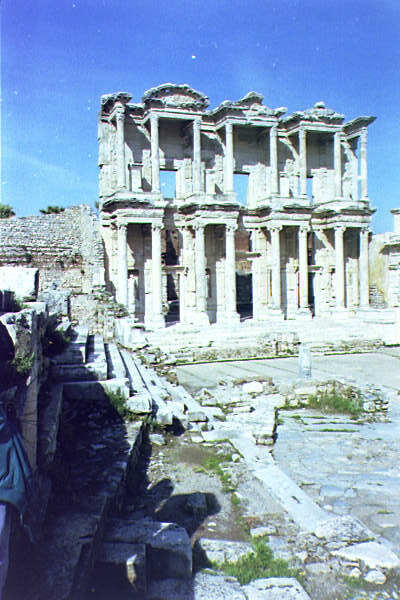 We got to all seven (Ephesus is one of them -- so it was a double site: Pauline and Revelation). We drove by it in the dark. Next time maybe. 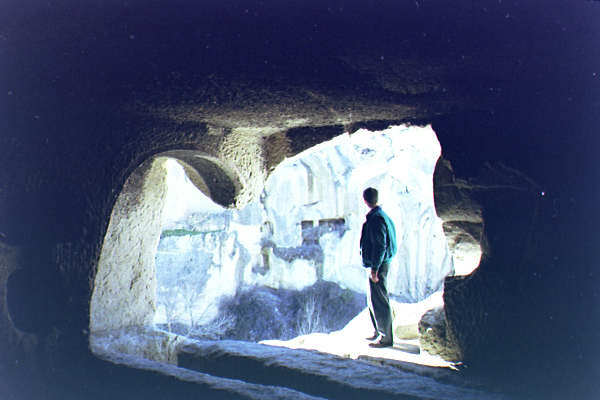 A wonderful place of Christian history -- the "Cappadocian fathers, A place where Cappadocian Christian's lived in stone-carved caves up to 100 feet below the surface. 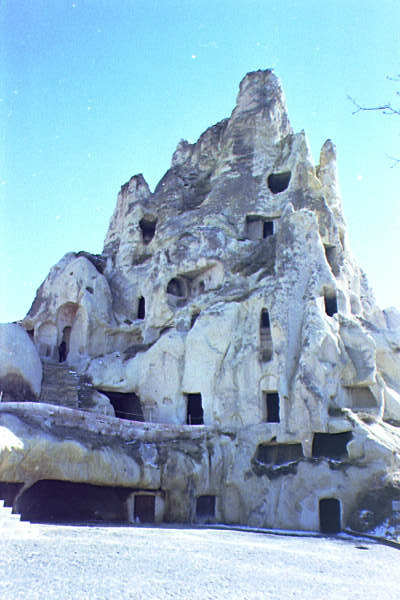 The surface caves include churches and picture windows from the stone-caves. The Christians survived however. 1. The "Gezer calendar" (dated at the 10th century BC and the oldest Hebrew writing ever found). 2. The stone from the Temple in Jerusalem which defined the boundary of the Holy Place in Greek beyond which no Gentile was to enter on pain of death. 3. 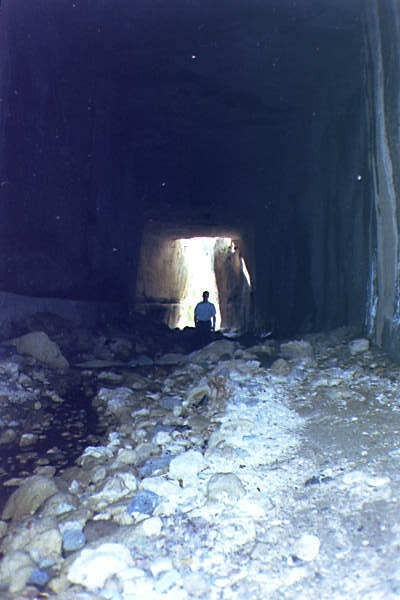 The inscription in Hebrew from Hezekiah's tunnel between the pool of Siloam and the Spring Gihon in Jerusalem. Laqepum married daughter of Enisru, Hatala. He shall not marry a second woman in the country, but he may marry a harlot in the city (of Assur). If she cannot bear children within a period of two years, she will buy him a slave-girl, and afterwards, as soon as aquiring a boy, she will sell her (slave girl) whereever she wishes. If Laqepum divorces her, he shall pay 5 Minas of silver. If Hatala divorces him she will (also) pay 5 Minas of silver. In the presence of four witnesses. To be posted in time for you to read before joining us on the next trip!